Not that much time ago, I had to listen to Marcel Coenen's first solo album, and if you read what I wrote, you know it was quite an ordeal for me. Of course Coenen may very well be the best Dutch metal guitarist at the moment, but to write an instrumental album with memorable songs only seems to happen (to me) once every decade. 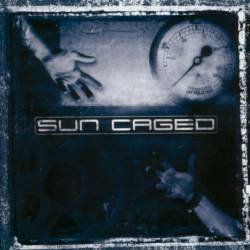 Sun Caged is his new band, a true band with guitar, bass, drums, keyboards and – most importantly – a singer. Coenen being a great technician, you shouldn't be surprised that this album takes a very progressive direction. My first impression was that this isn't that bad after all, until I took some more time to listen more closely, and saw very clearly that this is not the Dream Theater clone I dreaded it to be. The songs are in many way less straight, therefore more angular in a refreshingly angular way. As if Meshuggah learned how to write melodic metal songs, or Jason Becker and Marty Friedman reuniting Cacophony with a good vocalist. Where many so-called prog metal bands these days just copy the templates of their predecessors, you get real progressive instrumentation here, and even if you are not that much into the melodic prog power metal genre, you might find strong respect for the non-conformist songwriting of Sun Caged: best start with the title track which was the first moment to blow me totally away. Apart from that, I can suggest the album as a whole. Sun Caged show much love for detail in the mostly long songs, and therefore there's much to discover, even after repeated listening. A good thing for the band I didn't find the time earlier to write this review, because the more I procrastinated, the more I saw myself coerced to listen to this album (too lazy to change the CD) and get to admire this work. 9 points and the suggestion that no self-respecting prog fan doesn't get this CD.